I'm not going to pretend that I have some kind of unique perspective on the subject of the original Degrassi series, Junior High and High respectively, but I wasn't turned onto it until I was an adult. My introduction was through Degrassi: The Next Generation reruns that aired on a local syndication channel back in 2007. Look at that cast. Here's a shock, one of those twins is the one who got the abortion and it was the ugly one at that. Nuts. The reason I'm even writing about any of this is because I just so happened to stumble upon the Degrassi Official YouTube Page. There I found the first season of Degrassi High, all of Degrassi Junior High and a bunch from Degrassi: TNG. Since discovering this fact a little more than 24 hours ago, I've watched all 15 episodes from the first season of Degrassi High and loved it all over again. That's right, it's my second viewing. SO! Now I have all the seasons of Junior High to get through and then onto a revisit of The Next Generation. Just check it out. The Junior High and High episodes are great and far and above more enjoyable than Saved By The Bell*. You won't be sorry. Don't be ashamed if you have ever loved Degrassi. Embrace it. 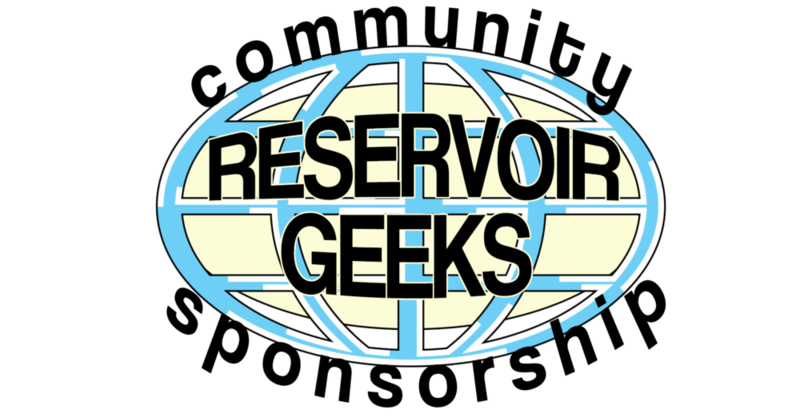 *This is an opinion of Andy Carl Valentin and not a statement of Reservoir Geeks. Posted on February 3, 2018 by Andy Carl Valentin and tagged TV Degrassi.